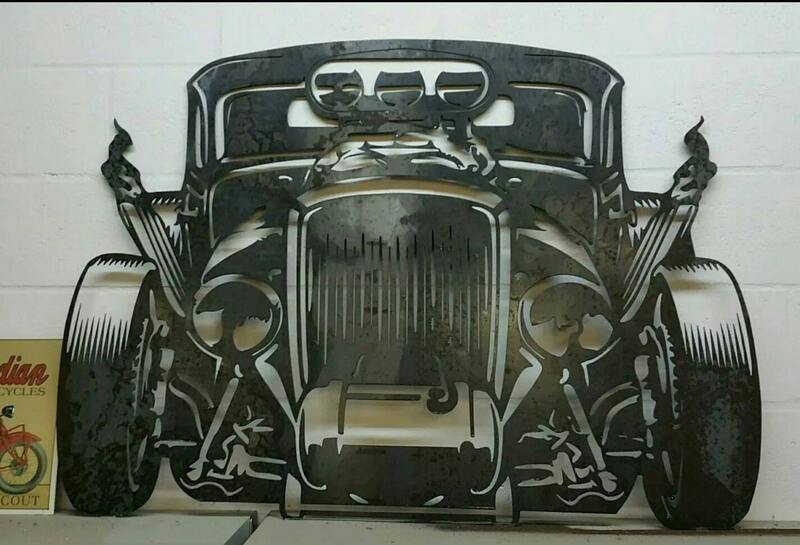 Awesome hot rod silhouette cut from 1/8" thick USA steel. Several hours went into the drawing and cutting of this piece. Left in raw mill scale covered steel this cutout will slowly patina over time. You can protect it with a top coating, oil/wax, or let the elements add another dimension. Piece is approx 48" wide and weighs 65lbs.